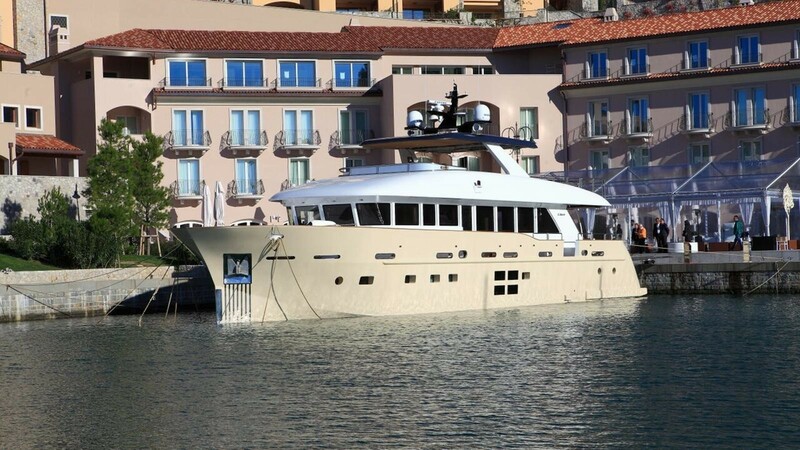 The 27SC Motor yacht DON MICHELE was delivered by C-Boat in 2016, measuring 27,3m (89,7ft) in length overall. 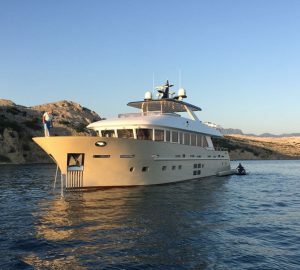 She offers accommodation for up to 10 charter guests, in 5 cabins and has an attentive crew of 6 on board. 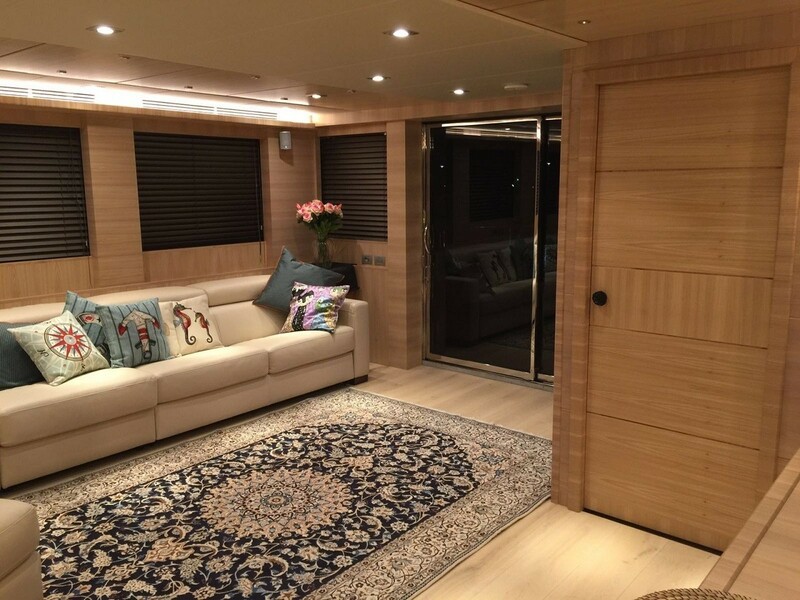 The yachts interior décor is refined, elegant and has a contemporary organic ambiance, featuring timeless styling by C-Boat’s in-house team. The spacious salon offers a large lounge with a plush sofa, bespoke pale wood panels and plenty of natural light. Full entertainment systems include a large drop down TV, SKY and surround sound. Further forward is the formal dining area. A day head is available on the main deck level. 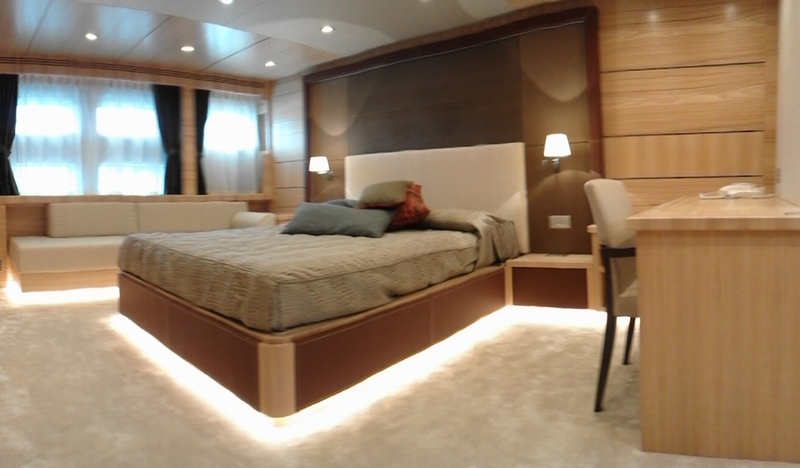 On the lower deck are 5 en-suite cabins, consisting of 1 master cabin, 2 VIP cabins and 2 twin bunk cabins. 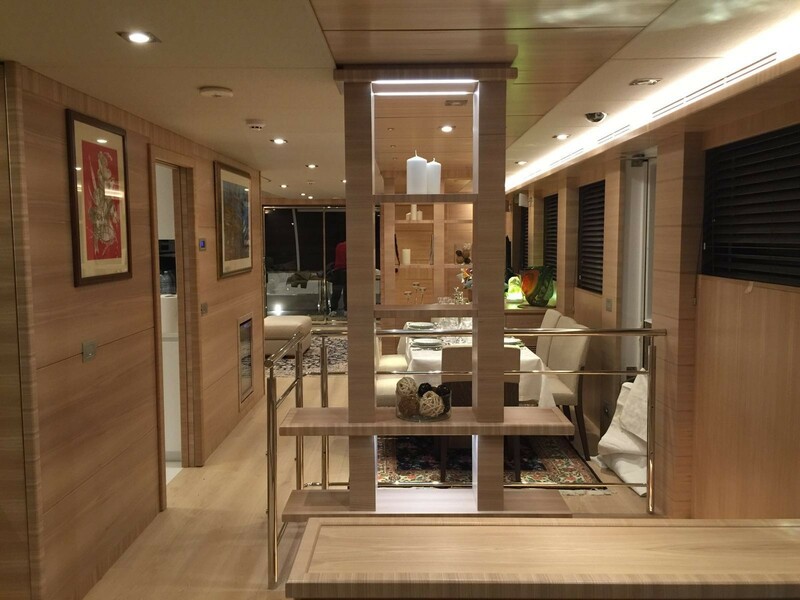 A feature not seen aboard many yachts of this size is the wheelchair accessibility, thanks to widened decks and living areas. 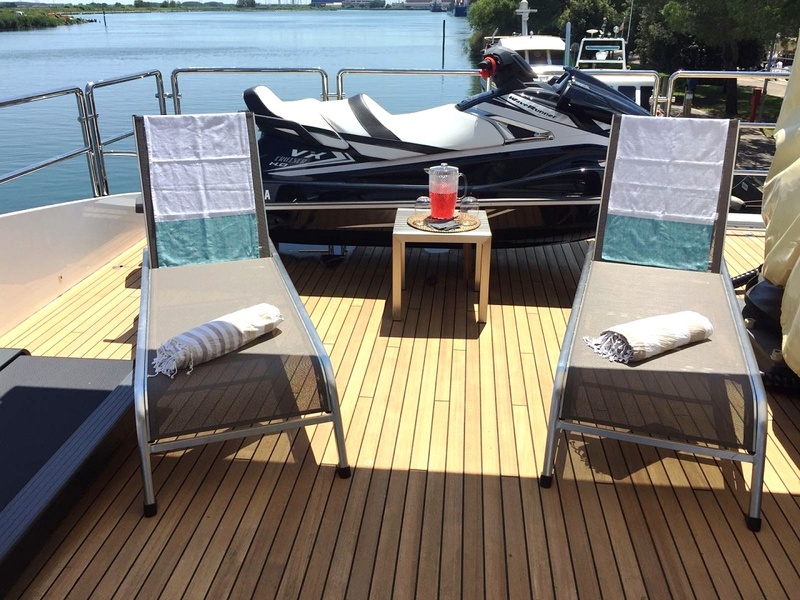 Relaxing and socializing is made easy aboard the yacht’s ample exterior decks. 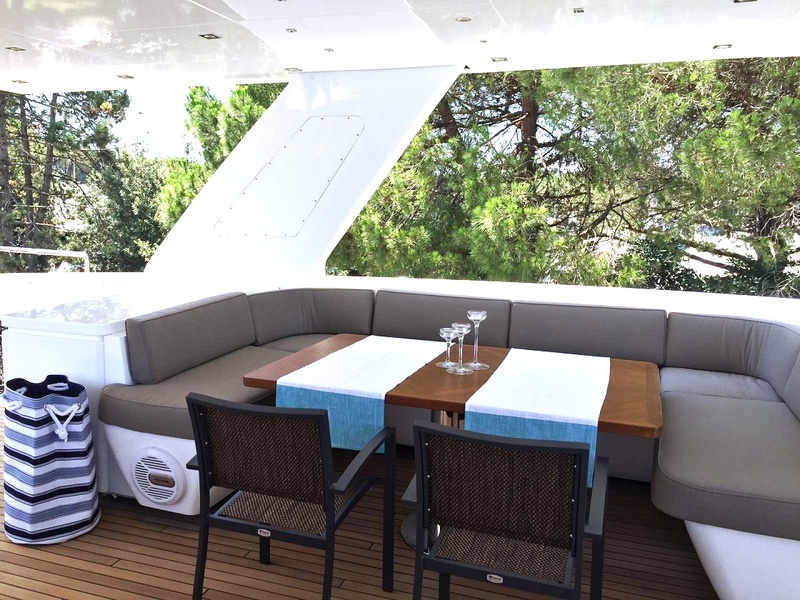 The main salon leads to a shaded aft deck, where there is an alfresco dining table and seating. 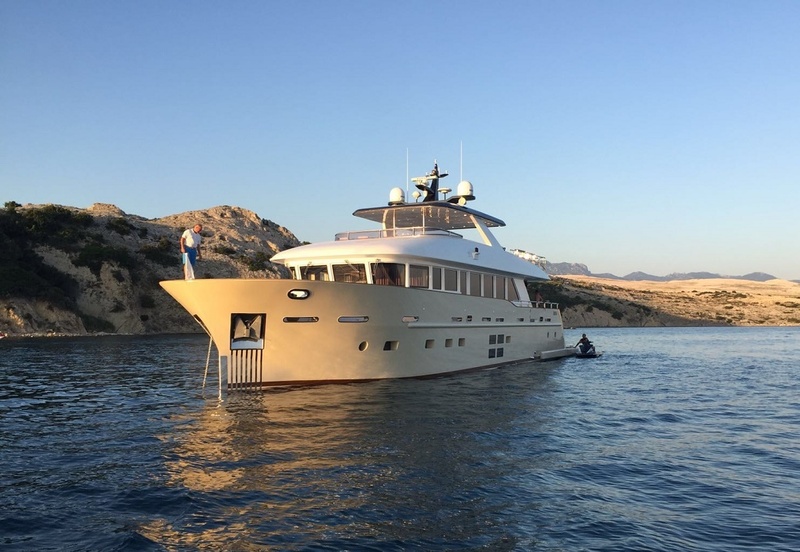 The aft deck provides access to the large swim platform equipped with hydraulic OPACmare transformer, capacious foredeck and generous upper deck. 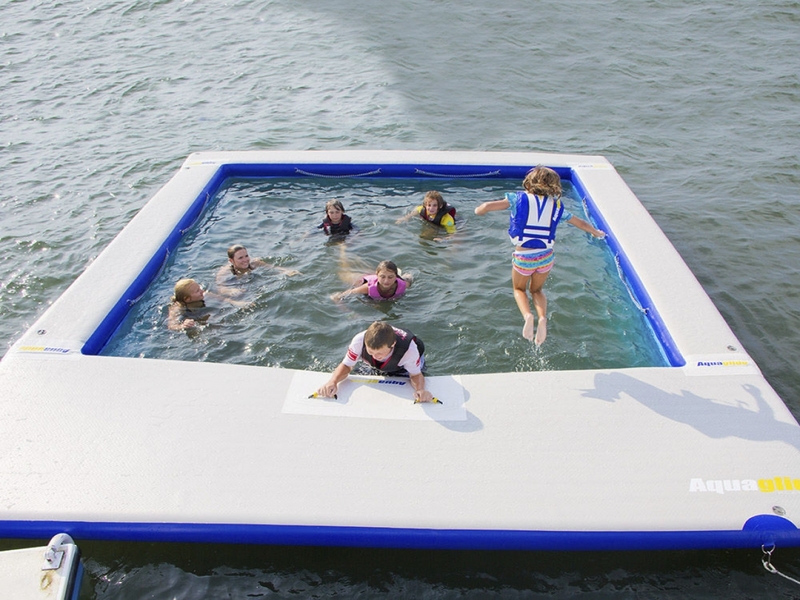 The swim platform ensures effortless access to the sea and the good choice of water toys on offer. 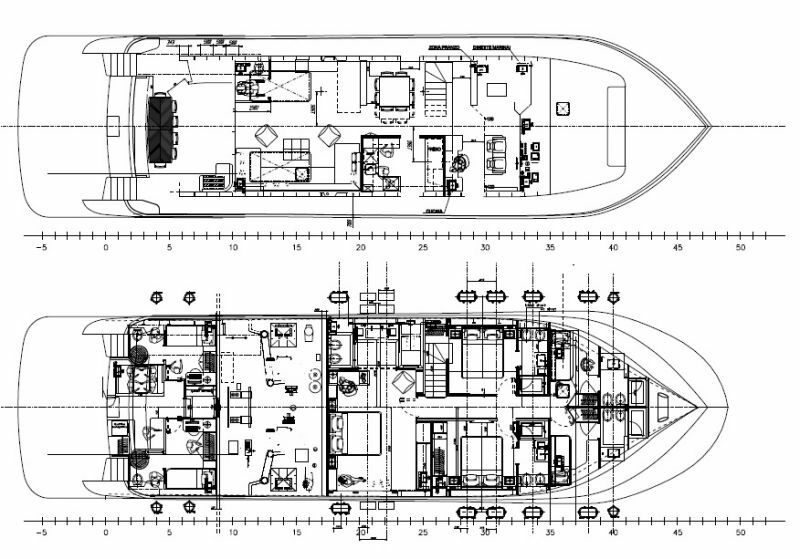 Her foredeck has a built in seating area and raised sunpad. The upper deck is perfect for any occasion, boasting chaise loungers, alfresco dining, a full service area and partial shade. 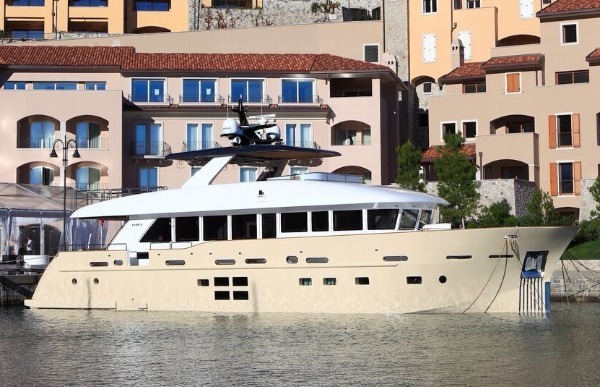 Powered by 2 x CAT C18 - 1,100hp engines, DON MICHELE has speeds of 10 – 12 knots. 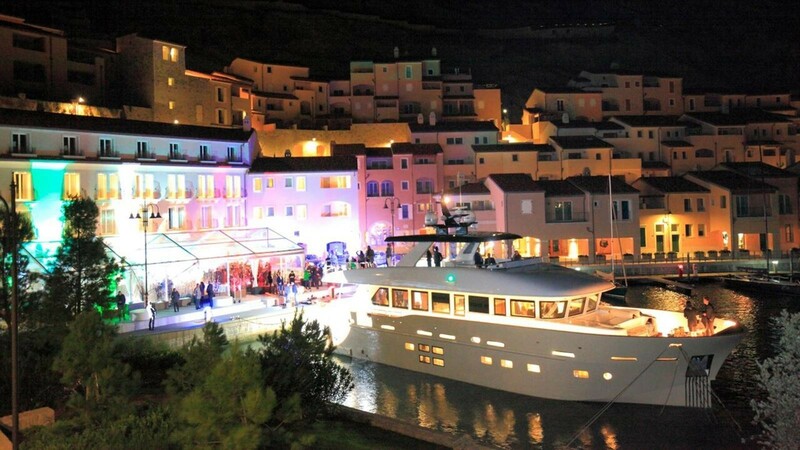 Ensuring optimum comfort, the yacht is fitted with both at anchor and underway stabilizers. 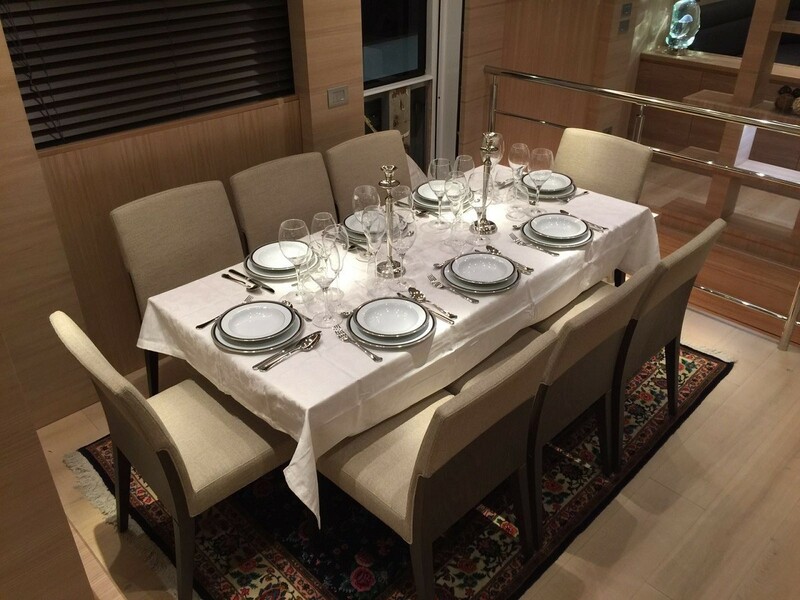 Below decks is accommodation for 10 guests, in 5 en-suite cabins. 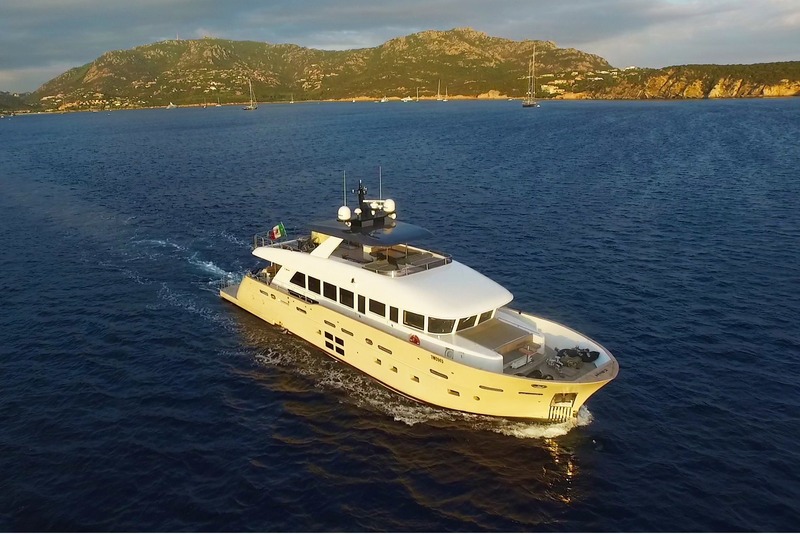 The master cabin is amidships and full beam of the yacht, benefiting from large in hull windows, a center lined bed, plush sofa and well-appointed en-suite. 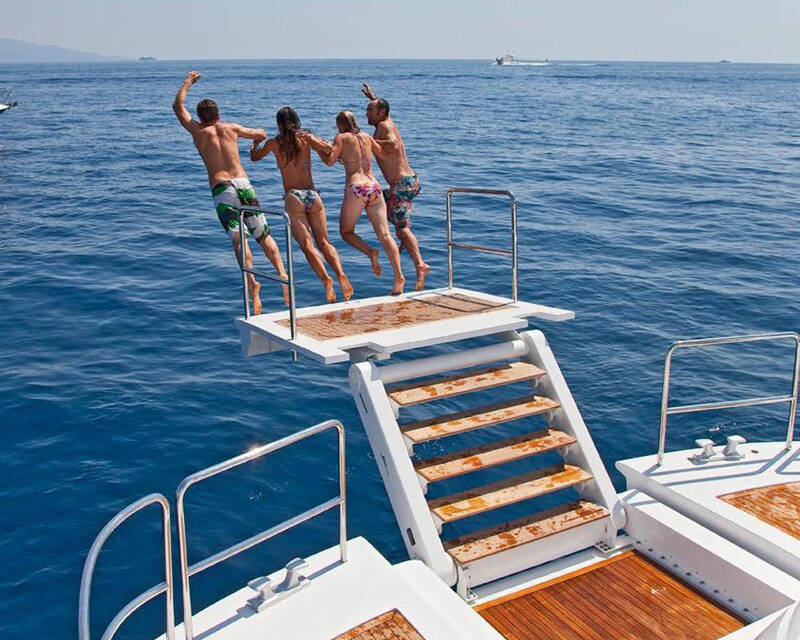 Two VIP cabins each offer double beds, while a further 2 cabins have bunk beds. All cabins have TV entertainment with SKY, DVD, wardrobe, desk and safe box.